APA is happy to note another staff promotion and several new hires. 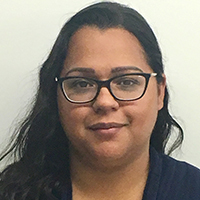 Millie Marrero's promotion to a senior position in the Membership Department recognizes her success in managing the transition and implementation of a new membership direct debit program and serving as liaison with the software vendor. Millie also has been instrumental in improving payment and donation processing and recording. We look forward to more valuable contributions when we upgrade APA’s member database in the near future. Congratulations Millie! Cynthia Currie will set the look of Planning magazine as a member of APA’s Publications Department. 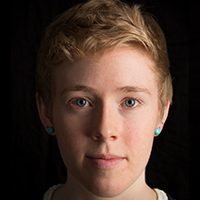 She comes to us from GLC Custom Media and has been our interim Art Director since April. She also worked for Kiplinger’s Personal Finance and HistoryNet, where she designed and produced the print and digital editions of World War II magazine. Earlier this year she received an Excel Gold Award from Association Media & Publishing. Cynthia earned a bachelor’s degree in journalism from the University of Kansas. 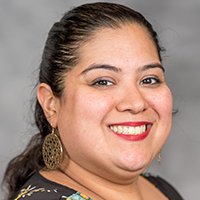 Araceli Jimenez has officially joined our Education Department after temping since January 2017 in several staff positions. In addition to administering many aspects of APA’s live and on-demand education programs and products, Araceli will continue to oversee National Planning Conference proposal submission and peer review. She also will support APA's expanding efforts to develop top-quality educational products. Araceli holds an Associate of Arts from Richard J. Daley College. Maggie Kraus joins our Leadership Department as the primary liaison to APA divisions. 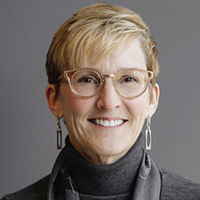 She recently earned a master's degree in landscape architecture from the University of Massachusetts–Amherst, where she conducted research and taught undergraduate courses in the Department of Sustainable Community Development. Maggie also produces a podcast called “First Floor Cornerstore,” which explores how people strengthen communities in the built environment. In his new position in the IT Department, Mike Sullivan will develop, debug, and support APA’s website and app software. He also is on the receiving — and resolving — end of customer service requests from APA members and staff. Mike, an enthusiastic camper, tinkerer, and woodworker, moonlights at the Chicago Public Library’s MakerLab and is a teaching assistant in an evening data visualization course at Northwestern University. 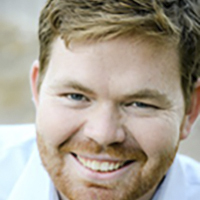 He earned a bachelor’s degree in petroleum engineering from the University of Texas at Austin. Welcome to APA, Araceli, Cynthia, Maggie, and Mike!